Rooted in the belief that everyone deserves to see their story in print, we are pleased to introduce Companion Albums. When you create a duplicate Miller’s Signature Album in an equal or smaller size (same aspect ratio) in ROES, your Companion Album will automatically receive a 25% discount. We are passionate about making it easier and more affordable to offer printed keepsakes to your clients. 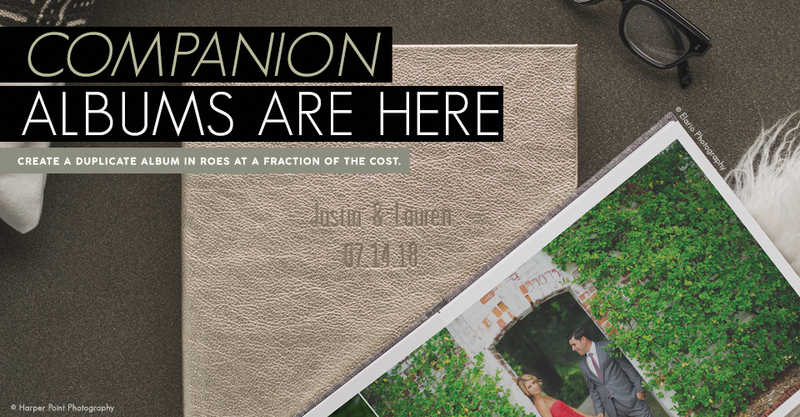 Perfect for family members and the cherished loved ones who have been there every step of the way, Companion Albums will help your business flourish.